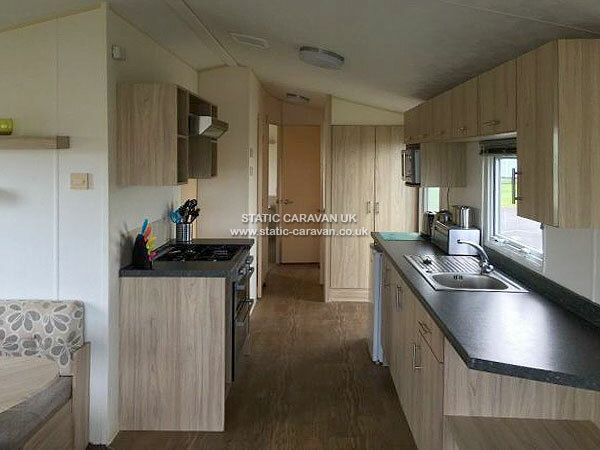 IN 2018 WE UPGRADED OUR CARAVAN TO A 2014 MODEL AND MOVED TO A DIFFERENT PLOT ON CARTMEL CLOSE. 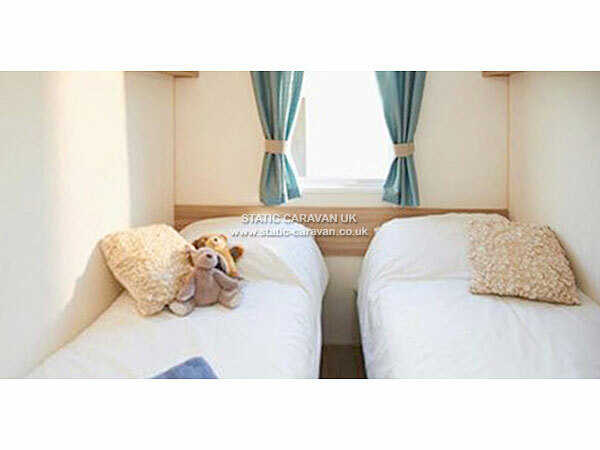 WE ARE CURRENTLY USING A MIX OF ACTUAL PHOTOS & A FEW LIBRARY PHOTOS OF THECARAVAN ON THIS WEBSITE SO SOME ITEMS SUCH AS BEDDING MAY VARY. Lakeland Leisure Park is situated at Moor Lane, Flookburgh. This is about 7 miles from Grange-over-Sands and within easy reach of the Southerly Lakes such as Windermere, Coniston & Tarn Hows. 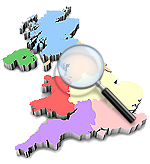 Other popular local attractions include Hawkshead, Grizedale Forrest Visitor Centre, South Lakes Wildlife Park at Dalton, Furness Abbey, Holker Hall, Laurel & Hardy Museum (Ulverston). Whilst access by road is recommended the nearest station is at Cark around 3 miles away and buses run from the nearby village of Flookburgh. We are also close to the local parachute centre if there are any daredevils amongst our visitors. On the airfield they regularly hold a Sunday market during the main Summer months if you want to pick up a few bargains during your stay! 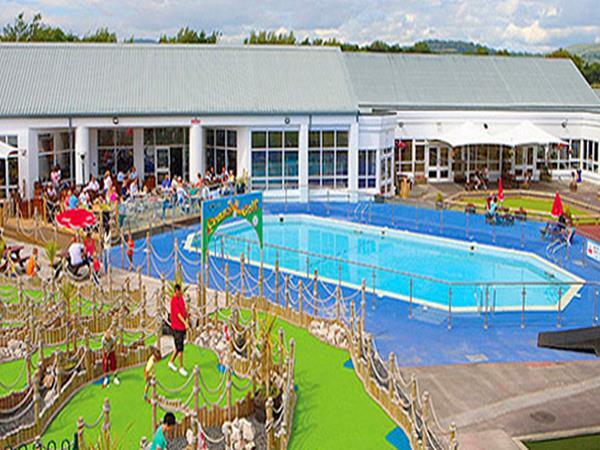 The park has a wide range of recreational/leisure facilities including Indoor & Outdoor Swimming, Family Club, Bars, Restaurant, Amusements, Bowling (All-weather), Children's play areas, Tennis and a Large sports field for Football, Basketball etc. 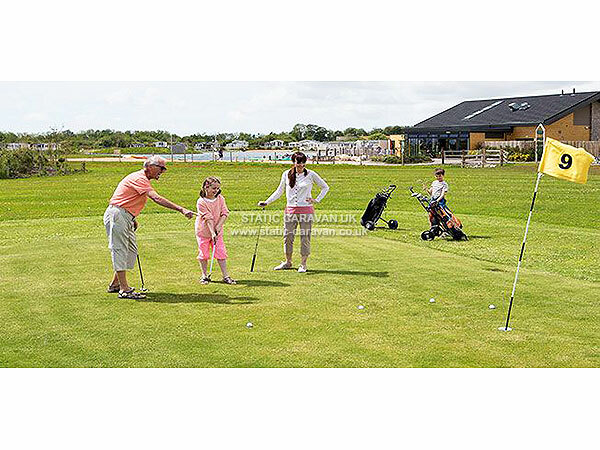 A full sized 9 hole golf course is also available for visitors to use.. 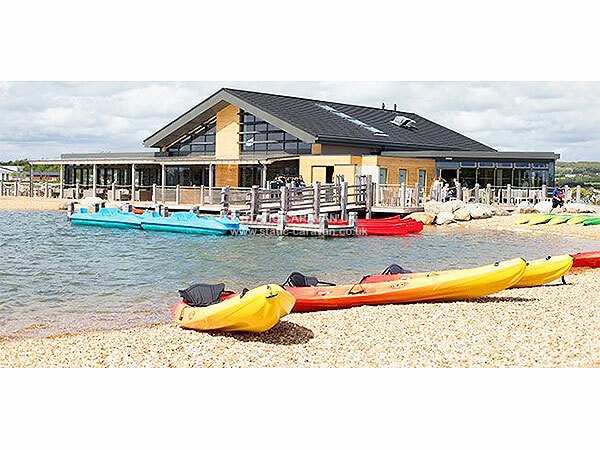 In 2014 a new boating lake was also opened with boat hire & lessons available to all visitors. In 2009 a new swimming pool was opened. The park also runs a 'Bradley Bear' club with organised events for youngsters. There is a convenience shop on site albeit for main shopping its worth a trip to the Booths supermarket at Ulverston (after which the fitter ones may fancy a walk up to the Hoad Monument if its a nice day...). Or, you may wish to order your shopping online and have it delivered to the park! Please note that leisure passes are not included in our prices & are as per the Haven Holidays brochure. However passes are not required for certain activities, advice given upon request. 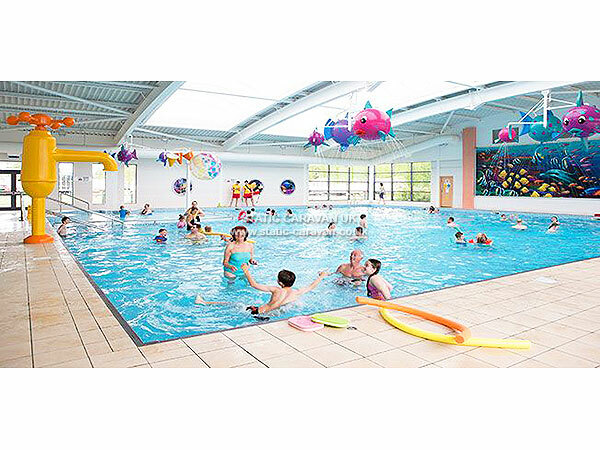 On the site we are located away from the Leisure Centre on a quiet close which is near the tennis courts. Its a few minutes walk to the leisure centre but the more spacious layout & quieter surroundings more than make up for this. 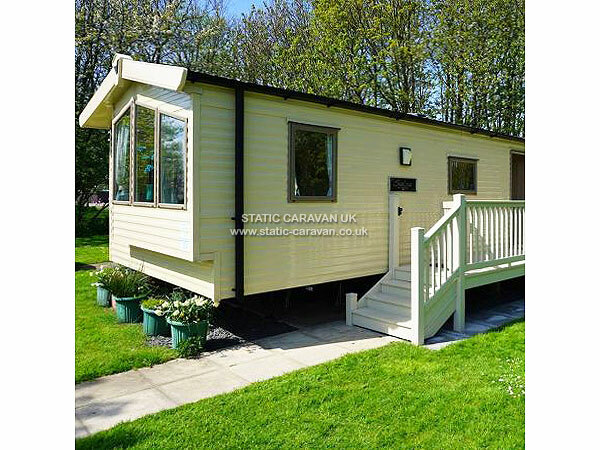 Our caravan is an Willerby Salsa Eco model with 2 bedrooms , one double and one twin. 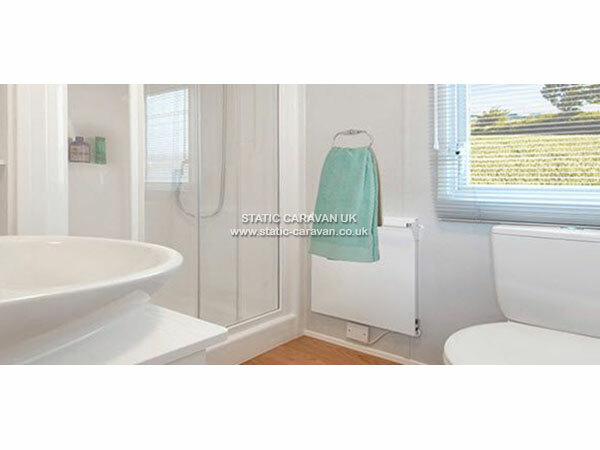 The main bedroom has an en suite toilet/wash basin with a good sized separate bathroom. All beds have duvets/pillows although hirers are asked to take their own sheets and duvet covers/pillowcases & towels. 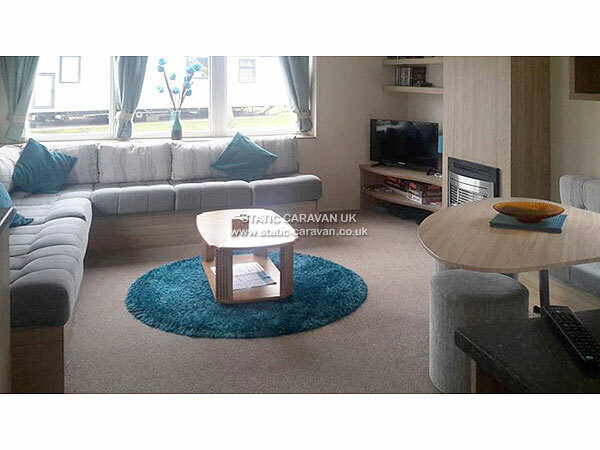 The caravan is 35 foot long model and has a good sized lounge & dining area with a modern kitchen with all the usual accessories i.e. microwave, fridge, kettle, toaster, coffee maker etc. The main cooker/oven is run on Calor gas. 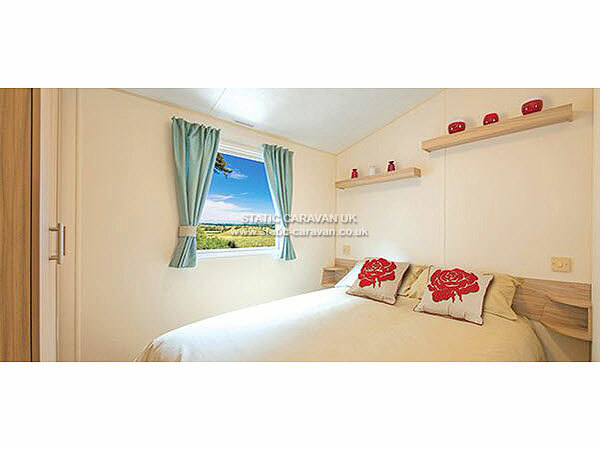 The accomodation is ideal for up to 4 people although as the twin room beds are smaller we recommend that it is best suited to families of 2 adults and two children. Apart from the kitchen all areas are carpeted with each room also having cupboard space/wardrobes. 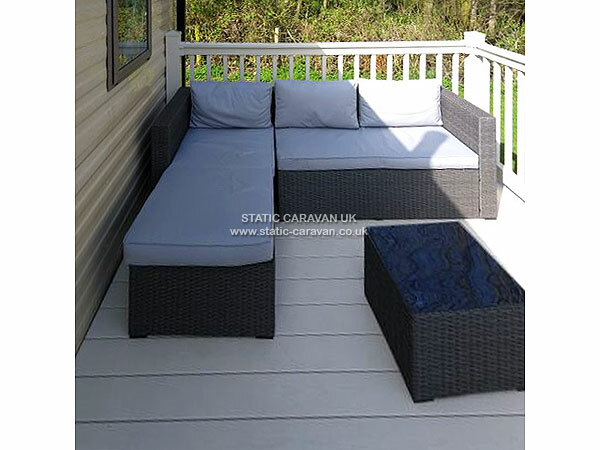 We also have had decking fitted which provides guests greater enjoyment in the sunnier months! This now has rattan style furniture for sitting outside on the warmer days! 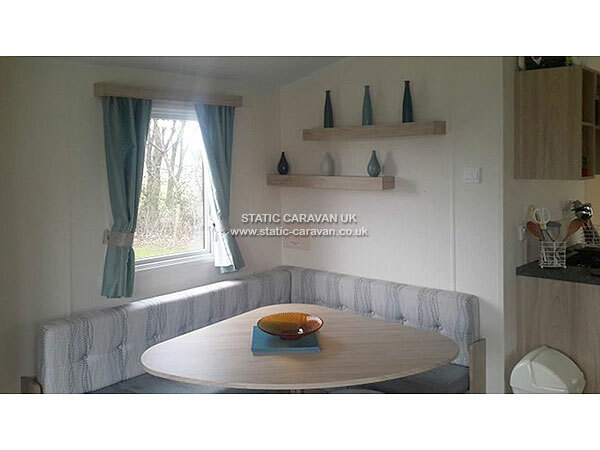 On the opposite side of the caravan to the decking we shall have a separate BBQ area with tables & chairs provided. Short breaks can be considered outside school holiday weeks. Please note that a £100 refundable security deposit is added to the hire price and is refunded subject to compliance with self clean after stay terms and conditions and no reported damages. A £100 refundable security deposit is required when booking and this is added to the rental fee quoted and this is refundable subject to hirers leaving in a clean and tidy condition for the next users and no damage/breakages (checklist supplied). The balance of the booking fee is payable 28 days before the start date of the holiday. Whilst hirers may bring one well behaved dog with them owners must bring their own pet beds etc. A small surcharge of £20pw applies (£10 for short breaks). Full booking terms are available upon request.